Answering questions on the IAC’s charge that the Maharashtra government had illegally allotted land to a firm run by Mr. Gadkari, Ms. Swaraj and Mr. Jaitley insisted that there was nothing illegal about it. Gadkari , however, clarified that the cooperative sugar factories, power plants and the Purti Group of companies he took over were debt-ridden. “I am not an office-bearer of any of these organizations. Despite huge losses, I took over them for the cause of farmers,” Gadkari added. “When I filed my nomination papers for legislative council election in 2008, my total assets were worth Rs 8 crore and liabilities stood at Rs 2 crore. That includes my car and ancestral property. 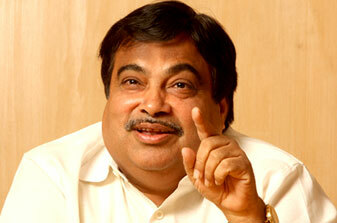 Since then, there has been no change in the assets and liabilities,” Gadkari told. Addressing to media, Mr. Jaitley said, “Today’s press conference [of Mr. Kejriwal] was a failed attempt to bring a moral equivalence between the BJP and the Congress… After all the suspense, it was a mountain of what was not even a mole hill…,” They argued that Mr. Kejriwal had failed to prove a “single case of corruption” in its allegations against Mr. Gadkari. The BJP president further said that he had never indulged in any corrupt practices. “My life is an open book;It is a design to tarnish my image… it is very sad,” added Gadkari.